As you may have heard, North Cyprus is an unspoiled gem of amazing natural beauty coupled with numerous architectural and historical marvels. For the most part the politics of the region have allowed it to escape the ravages of tourism that have faced other parts of the Mediterranean – but that also makes it a bit tricky to travel to. The only international airport in North Cyprus is the Ercan International Airport – but for various reasons international flights can’t fly into it directly. Instead, you’ll have to stop at a Turkish airport on your way, and subsequently fly into Ercan International Airport. If you are traveling by air then it is the only way to get to North Cyprus, and the airport itself is only a short way from Nicosia itself. Assuming you intend to stay at Nicosia or even Kyrenia, flying in and then renting a car or taking a cab to your accommodation is certainly an option worth considering. Within Nicosia, you can quite literally ‘walk into’ North Cyprus from the south as a pedestrian at one of the two crossings. When you do the Greek Cypriot police will inspect your passport but won’t stamp it, and the Turkish Cypriot police on the other side will stamp a paper that you will need to carefully keep with your passport. Once you’re in North Cyprus you could opt to take out accommodation there, or rent a car and explore before returning back to the south to spend the night. Generally you should have no issues crossing over multiple times, so it is up to you where you want to base yourself out of. It is also possible to cross over from the south in a vehicle, and most people tend to prefer to do so. In other words, you could fly into the south of Cyprus, rent a car there and then drive through one of the numerous border crossings on your way north. Assuming you choose to do so, just keep in mind that you will have no insurance coverage in North Cyprus, and so you should purchase additional coverage accordingly. With this method, you can choose whether to stay in the north or south as well. As you can see, the choice of how to travel for North Cyprus holidays will largely depend on where you want to stay as well as how you want to get there. 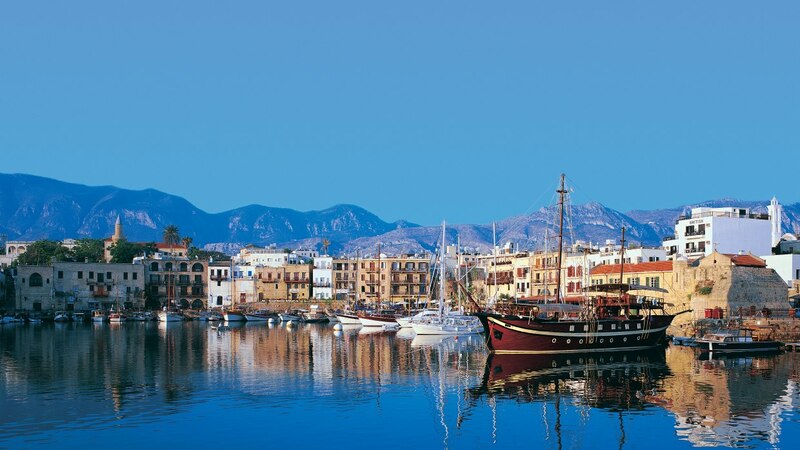 If you intend to spend most of your time in the north then you should definitely base yourself out of there – with Kyrenia being the popular choice due to the sheer number of hotels and resorts that are there. Alternatively if you’re only interested in visiting a few locations, you could stay in the south and simply take a day trip over to the north.